April 11, 2017 (Springdale, Ark.) – “Streets of Capernaum,” a new song from multi-Dove Award winner Clay Crosse, will be available at iTunes and all digital retailers on Good Friday. The single, written by Crosse, is Crosse’s first new music since the songs from the 2013 album titled “reDedication.” After going for adds April 4 to Christian INSPO/Soft AC and Christian AC radio outlets, the single debuted at No. 1 at ChristianRadioChart.com with 881 radio outlets worldwide. The new song ponders Jesus’ possible nostalgia about the time He spent in Capernaum during the peak of His earthly ministry. In addition to sharing his songwriting talent, Crosse shares another talent with the new single release. For the first time, Crosse uses one of his own paintings as the cover art on a project. 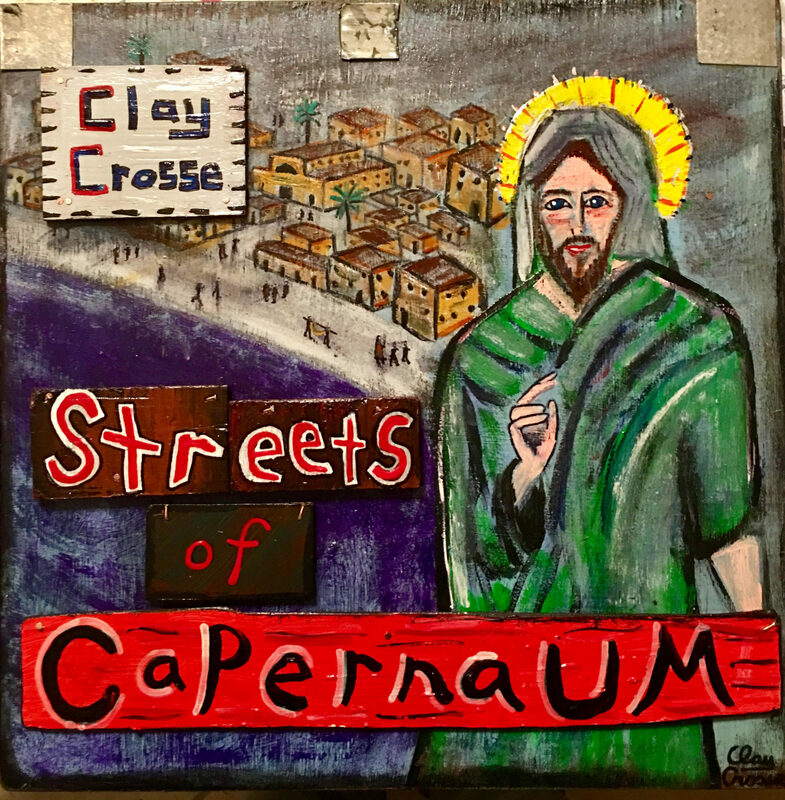 “Streets of Capernaum” features Crosse’s folk art painting of Jesus in front of the backdrop of Capernaum. “Streets of Capernaum” was produced by Sean Hill at Uphill Studios and released by INOV8 Music Group.